Test your process materials in our screen changers. If you are planning and designing your new extrusion line, or if you want to upgrade your existing one, you are aware that the selection of the most suitable screen changer is key issue for your system performance. We are ready to assist you in making the right choice. At CofitLab we can set up a complete extrusion line for you, which suits your specific requirements and involves our screen changers. You are welcome to bring us your process materials, to test our screen changer performance with. You will experience our filtering system in action, you will test your own materials in a real production line and survey the results. CofitLab can run most thermoplastics, filter plastic for the most various applications, and let you verify the performance. We set CofitLab up to show you the excellence of our screen changers and our solutions. 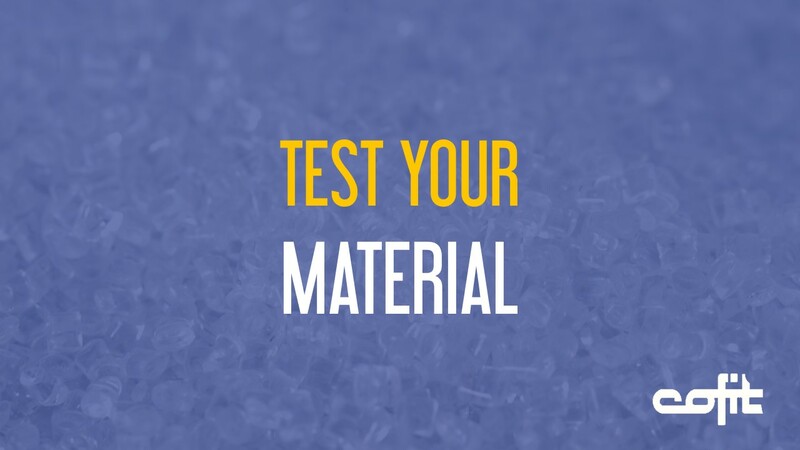 Testing your process materials with CofitLab is easy. Send a sample of your materials to CofitLab in Cerro Maggiore (MI) – Italy. We will arrange an extrusion session involving the screen changer you prefer to test, and we will measure its performance rates. We will be pleased to send you back some samples of clean product, so you can check it accurately. A full range of filtering equipment is available at Cofit to run tests. Do not hesitate to ask our staff for more information and support. Any. All processable polymers in plastic extrusion: PET, HDPE, LDPE, LLDPE, PP, ABS, PS, PE, PC, nylon 6, nylon 6.6, PMMA, PA, PVC, and more. Any. At CofitLab Cofit screen changers can retain all possible contaminants: metal, wood, paper, textile fibers, unmolten plastic, aluminum, sand, and more. If you are too busy and you cannot watch the tests run at CofitLab, we are ready to arrange a live streaming video of the filtering session and send it back to you anywhere you are. For any additional information, please contact us at lab@cofit.com .